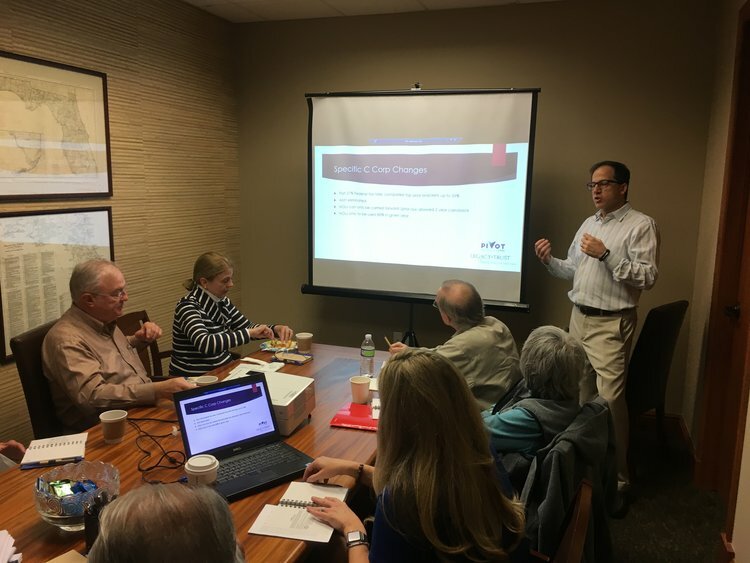 The changes to the 2018 tax codes made for some pretty big headlines (and perhaps even bigger confusion), so we invited our clients to two sessions hoping to clarify the new laws. We hosted one session at our office and the second session at Seasons 52. Very special thanks to Peter Reynolds of Ponte Vedra's Pivot CPAs for his expertise and his willingness to share his insights.